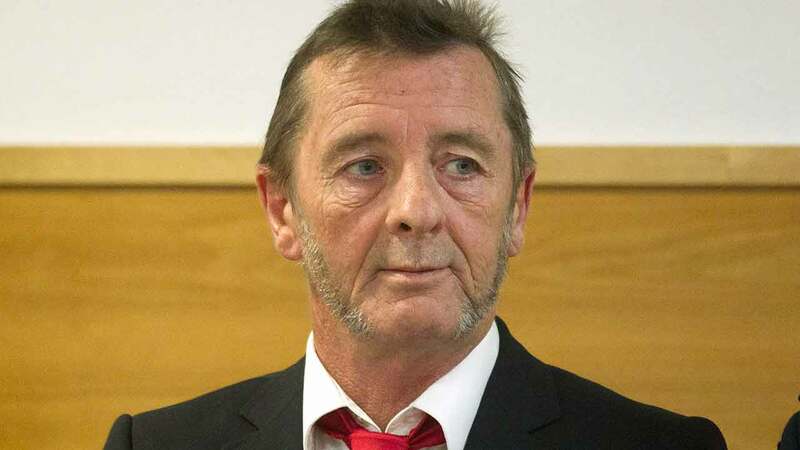 SYDNEY, Australia -- AC/DC drummer Phil Rudd was behind bars Sunday after being arrested in New Zealand, just days after he was sentenced to home detention for threatening to kill a man who used to work for him. The 61-year-old Australian-born drummer was arrested at his home on New Zealand's North Island on Saturday night, though police refused to comment on the nature of the arrest, the New Zealand Herald reported. Rudd's lawyer, Craig Tuck, confirmed in an email Sunday that Rudd had been arrested and that he was due to appear in court on Monday for a bail application. Tuck said he had just spent an hour with Rudd at the local police station, where he was being held until his court appearance. Tuck declined to say why his client had been arrested or to comment further. Rudd was sentenced to eight months of home confinement on July 9 after pleading guilty to threatening to kill a former employee and possession of methamphetamine and marijuana. In that case, Rudd acknowledged in a court summary of facts that he'd offered cash, vehicles and a house to an associate after asking him to have the victim "taken out." He also acknowledged that he'd directly said to the victim he was going to kill him. Prosecutors had originally charged Rudd with murder-for-hire, but later dropped that charge, citing lack of evidence. At the sentencing hearing, Judge Thomas Ingram warned Rudd that he would go to prison if he breached the terms of his home detention, which banned him from taking any nonprescription drugs and subjected him to monitoring. "I stone-cold guarantee that's where you'll end up," Ingram told the drummer at the hearing. "I'm not your headmaster, I'm not your father - I'm a judge." According to the court summary of facts, the dispute between Rudd and his victim began in August when Rudd threw a party at his restaurant to celebrate the launch of his solo album, "Head Job." Rudd felt the launch hadn't gone well and subsequently fired several employees, including the victim, whose name has been suppressed by the court. Rudd later called an associate and told him he wanted the victim "taken out," according to the court summary. In another call, Rudd offered the associate "$200,000, a motorbike, one of his cars or a house," which the associate took to mean as payment for carrying out his earlier request. Two hundred thousand New Zealand dollars is equivalent to about US$130,000. The morning after calling his associate, Rudd called the victim directly, saying "I'm going to come over and kill you," according to the court summary. Police found marijuana and methamphetamine in several parts of Rudd's home during a search of the house, the court summary said. They also found methamphetamine in his pocket. It's unclear whether Rudd has a future with the Australian rock band he's been part of on-and-off for four decades. AC/DC is currently using Welsh drummer Chris Slade for its "Rock or Bust" album tour, but hasn't said whether that's a long-term arrangement.